Same story | Different year. Each year the majestic pink magnolia builds to a radiant canopy of pinkish petals only to be immediately blasted by winds that turn them into a carpet of pink. Yesterday’s fierce winds really did a job. Earlier this year | Inspite of what we thought was an excesively nasty winter, in other years we wrote about the magnolia to capture the time of the year that spring comes. In 2018, it was April 24. In 2013, it was April 2. IN 2012, it was March 25. In 2011, it was April 11. Do you have a plan? 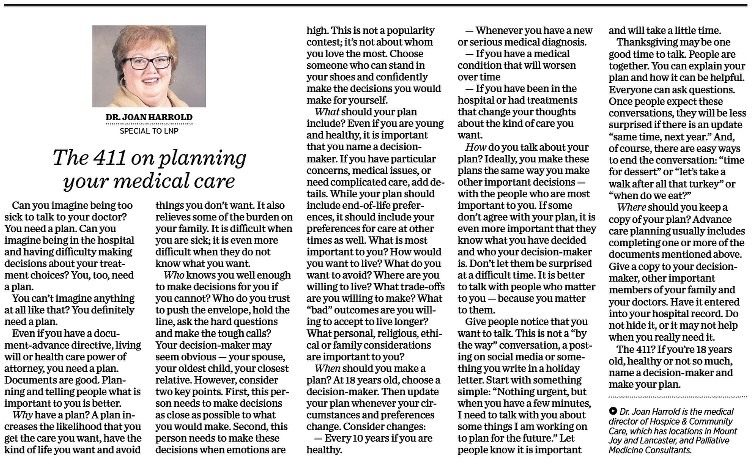 | Today is National Healthcare Decisions Day; this column (below) is in today’s LNP – Always Lancaster and it’s worth your time to read.